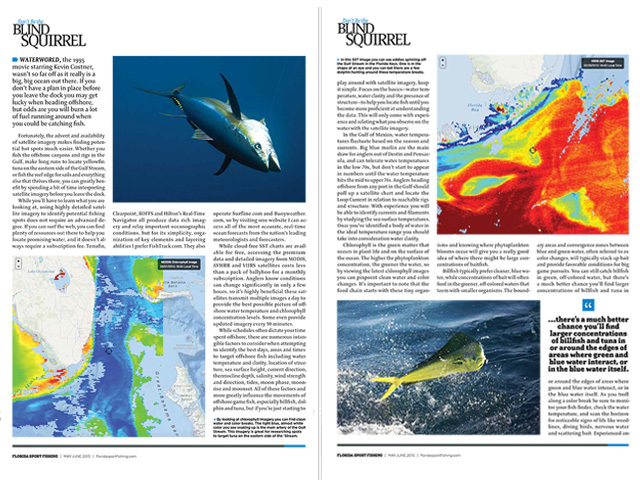 Prominent fishing magazine calls FishTrack its preferred SST provider in a recent article..
Florida Sport Fishing recently published a detailed article about using satellite imagery to find fish. The magazine cited FishTrack.com as its preferred SST provider, and published several FishTrack SST images to show readers how to find temperature breaks and clear blue water. The article also highlighted the FishTrack app, which lets users pull up SST, chlorophyll, weather and much more right on their iOS device. If you haven't downloaded the free app yet, get it on iTunes now. Utilizing satellite imagery and sea surface temperature charts helps anglers find more fish. Everyone knows that, but of all the SST services out there, some are better than others. 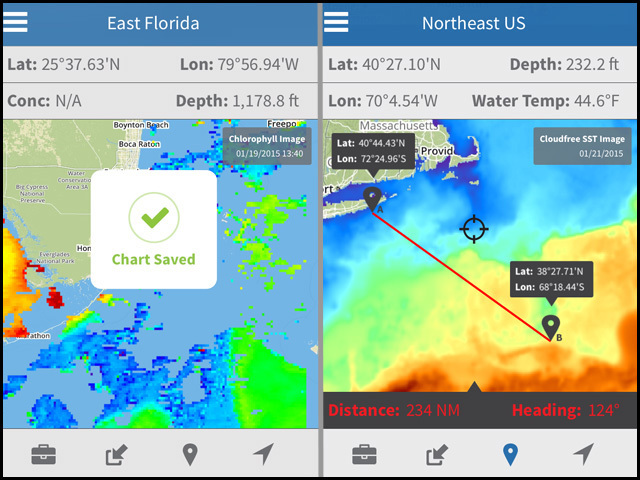 A recent article by Florida Sport Fishing calls FishTrack.com the top choice for SST fishing charts, weather services and more. Dougherty has actively used FishTrack’s SST charts and weather since the site launched in 2012. As a tournament angler fishing the South Florida sailfish circuit as well as the Bahamas and Gulf of Mexico, Dougherty knows first-hand how important quality SST charts, weather and ocean currents are when researching the spots he wants to target. To help their audience understand how to use SST charts, Florida Sport Fishing published several of FishTrack’s recent SST charts to display temperature breaks and color breaks. FishTrack uses a network of three satellites, MODIS, AVHRR and VIIRS, to give anglers the best possible options when investigating the latest marine conditions and when you factor in the cost of a FishTrack premium membership vs the cost of aimlessly burning fuel offshore, it makes a lot of sense to be a premium user. For its simplicity, organization of key elements and layering abilities I prefer FishTrack.com." The article then dives into the subject of interpreting the data found on FishTrack.com’s SST charts to help you find fish. Several factors come into play when hunting for offshore game fish, including water temperature and clarity, location of structure, sea surface height, current direction, wind strength and direction, tides, moon phase, moonrise and moonset. All of these factors and more greatly influence the movements of offshore game fish, and FishTrack provides all of this data. And as Dougherty notes in the article, all of this data is available to anglers on the go thanks to the mobile app that FishTrack launched earlier this year. However, if you’re just starting to use SST charts Dougherty suggests you keep it simple and focus on sea surface temperature, chlorophyll and structure. Find good clean water that is the ideal temperature over structure, and odds are the billfish, tuna and dorado won’t be far behind. To read the Florida Sport Fishing article in its entirety, click here or pick up the May/June 2015 issue by visiting floridasportfishing.com.